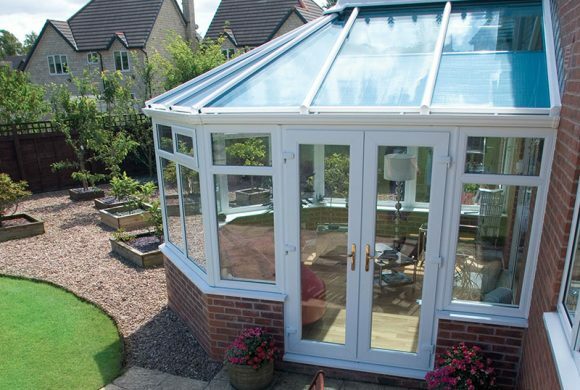 7 things you must ask in a conservatory showroom in Bristol! If you’ve been searching for ‘conservatories Bristol’, chances are you’ve probably thought about visiting a showroom first. This is an excellent idea because the information you can gather here will prove invaluable before you make a purchase. Plus, it’s the perfect way to get a proper feel for any products. But if you find yourself in a conservatory showroom in Bristol, what questions must you ask? We’ve listed our top 7 so you can ensure you get what you’re looking for. 1. What conservatory style should I opt for? Conservatories don’t just come in one standard style, they are available in several. Some of which tend to be better suited to certain property types. For example, lean-to conservatories are an excellent choice for modern homes, whilst you can’t go wrong with a Victorian conservatory if living in a Victorian property. Therefore, asking about the styles can help you to find the option best suited to your home. Check out our ‘conservatories styles guide for your Bristol home’ for a more comprehensive overview. 2. What windows and doors are available? Conservatories are available with tiled and glass roofs, bifold and French doors, and a range of other door and window options. Speaking to a conservatory specialist, therefore, will ensure you’re better informed on what is available to you. 3. How efficient are your conservatories? Energy efficiency is important for a number of reasons. Not only is an energy efficient conservatory more comfortable but it also costs less money to heat. Therefore, you want to learn how energy efficient the products in use are. A conservatory from Associated comes with ‘A’ rated windows as standard so you’re guaranteed a highly efficient structure. 4. Do you also install orangeries? Although conservatories are an excellent solution for adding living space, they’re not the only means for doing so. Orangeries are another type of glazed extension. They feature more brickwork than the average conservatory and you might find you’d prefer an orangery instead. The elephant in the room but an important question nonetheless, learning about the cost is essential for determining whether or not you’re able to afford your dream conservatory installation. In addition, you might ask if finance is available so you can pay over a longer duration of time. Finance packages are available from us at Associated Windows. 6. Do you install conservatories in my area? If you’ve made your way to a conservatory showroom and found yourself a suitable conservatory, your next step is learning whether or not the installer operates in your area. Associated operate within a 20-mile radius of our Filton HQ so cover all of Bristol and parts of Somerset, Wiltshire and Gloucestershire. 7. Will I need to get planning permission? In most cases, conservatories do not require planning permission. However, if your proposed conservatory will take up more than half of your garden, planning permission must be acquired. Looking for conservatories Bristol? Why not head to our conservatory showroom, which is located just off the M4. We have an impressive range on display and a number of friendly, expert advisors on hand to answer any queries you might have. To book an appointment, call 0117 9311777 or contact us online.